Anyone who appreciates the sophisticated appearance of French-style patio doors should think about adding a hinged or outswing Frenchwood® door to their home. You can save up to 28 square feet of interior space by choosing the outswing version. They all feature stainable pine, maple, oak, or prefinished white interior, High-Performance™ Low-E4® SmartSun™ glass, and crafted mortise-and-tenon joints. You will also get to experience the benefits of an impenetrable water and air sealing system and added security with our full weather strip lining and multiple-point locking system. The outside is covered with a rigid vinyl sheath for an attractive appearance while minimizing the need for maintenance. • Traditional French door styling offers doors that can open to either the interior or exterior. • Features mortis-and-tenon joints with patented dowel construction. • Full weatherstrip system helps provide maximum resistance to water and air infiltration. • Choose from a broad range of grille sizes, patterns and finishes to enhance the traditional look of your home. Interior and high-profile exterior grilles can be configured to provide originality or authenticity. • Exterior patio door frame is covered with a rigid vinyl sheath that maintains an attractive appearance while minimizing maintenance. • Outswing patio door saves up to 28 square feet of interior space. • Multi-point locking system adds increased level of security. • Comes with an extensive array of hardware available in 10 different finishes. *Colors merely representational. Your project consultant can provide actual samples. * Canvas exterior not available on Frenchwood® outswing patio door. ** Prefinished white interior only available with a white exterior. Auxiliary Foot Locks are available for all gliding doors and provide an extra measure of security when in a locked position. It can also lock the operating panel in a partially open position for ventilation. The Andersen® reachout locking system pulls the door panel snugly into the jamb for weathertightness and enhanced security. 5-point locking system improves energy efficiency and offers an increased level of security. Exterior keyed locks are available for all patio doors. For Frenchwood® hinged patio doors, you can add an optional handle extension kit that allows clearance for interior blinds and shades. Grille patterns offer the fine details that enhance the look of your home. Match your current style or change the look with one of our many grille designs available. Hardwood grilles snap into clips on sash interior and remove easily for glass cleaning. Classic profiles in two widths. 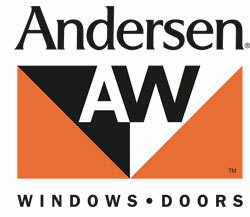 * Available for Andersen Frenchwood outswing patio doors (available in white only).